What Day Of The Week Is June 18? 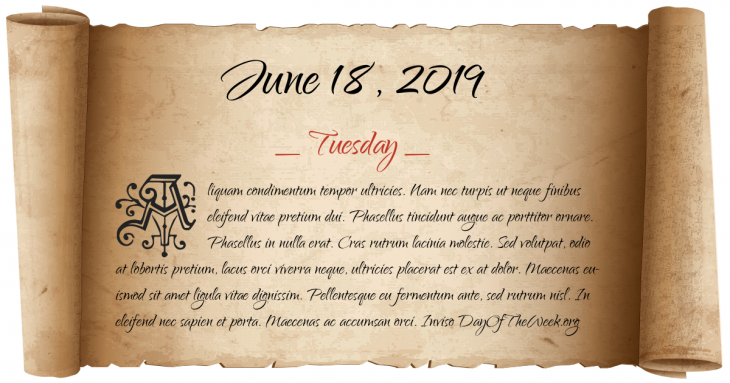 June 18, 2019 is the 169th day of the year 2019 in the Gregorian calendar. There are 196 days remaining until the end of the year. The day of the week is Tuesday. Empress Dowager Longyu of China orders all foreigners killed, including foreign diplomats and their families. Who were born on June 18?